Business signs say a great deal about your company. They may only contain a few words, but your entire sign speaks to the customer in ways you may not be aware of. When you choose custom signs for your company, you will receive a host of benefits, and here are five good reasons to go with a custom sign service like Dave’s Signs. Everyone’s talking about business branding these days, but what actually is “branding”? Branding is all about creating a unique reputation and image which will stay in the customer’s mind. There is no better way to project an image than with beautifully designed, manufactured, and installed custom signs. It’s like having a full-time advertising and promotions firm working for you 24/7. When you choose to install custom signs you are virtually unlimited with your possibilities. In fact, your only limits may be local sign ordinances, and Dave’s Signs makes sure your signs conform to all the laws and standards. You can design and select from thousands of possibilities or let us take over the design process and do it all for you. Whether you have one location or hundreds, you are always dealing with competitors and they may be on the same block. Custom made signs are one of the best strategies for creating a unique identity which separates you from the competition. When you stand out, people are more likely to take notice and see what you have to offer. Creating custom signs for business takes a great deal of effort and specialized knowledge which you or your people may not possess. Instead of attempting something outside of your business expertise, why not let trained professionals handle everything for you? This will give you more time to focus your expert attention on your business. Why go through all the time and expense of installing custom signs if you can’t get maximum benefits? Dave’s Signs has experienced professionals who know what it takes to make your signs a success. We use the latest in sign design graphics and technology to create the perfect sign for your needs. 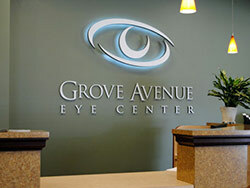 In addition, we know what size signs work best and how to install them, to increase their effectiveness. To check out some of our latest work, click this link right now.